I have always loved little molded chocolate treats that come out so perfect and attractive. Chocolate is one of the best things to create molds of all shapes and sizes from little leaves to heart shapes. There are literally thousands of molds to choose from at your local kitchen supply store or online merchants. The secret to chocolate molding is that the mold does all the work, you just make the liquid chocolate to pour into it. The holidays are particularly popular for creating Easter rabbits, Valentine's heart, or Xmas shapes, not to mention Halloween time. The best kind of cocoa to use are varieties with a high cocoa butter content. 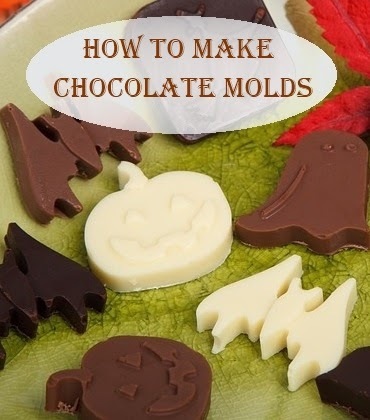 This creates the best looking chocolate molds that pop out easily with a nice shiny finish. There are basically two types of molds used to make chocolate shapes. The first is the flexible flat plastic molds that have 3-dimensional shapes and are flat on one side. The second are called two part molds that are use when you want a hollowed out shape like a chocolate bunny for example. 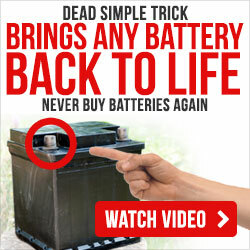 You pour into two sides and then hinge them together usually with built in clip of some kind. Use tempered chocolate for the molds so it will dry fast. Tempering involves a process of heating, stirring, and cooling chocolate that maintains the perfect stability for the cocoa butter. Make more tempered chocolate than you actually need, so you know you have more than enough, so you can completely fill your form shapes. You can re-use any leftovers. Use clean molds that are dry and have no marks or scratches on the plastic, so your liquid cocoa will slip out easily. Make sure to cool your forms at room temp so they don't cool to fast or if they are too warm they won't set right. Wipe the molds with a clean dry cloth to create a shiny surfaced effect. Tap the mold once it is full to release any air bubbles, this prevents holes in your shapes once it dries. It is fun to start a chocolate mold collection and if you like to travel you can buy them from all over the world. Some people have a display of antique and modern versions in their kitchens for decoration. This way you can get inspired to use them more. It is a delightful hobby to enjoy for the young chocolate enthusiast to the elderly grandmother. Once you get into building your mold collection you will literally find them everywhere from antique shops to yard sales all over the world. Many people love to wrap their mold creations in multi-colored foil for a fun presentation or you can invent new ways to display or wrap them up. You can create baskets or boxes filled with your different artistic forms. Let your imagination go wild and come up with some unique ways to present your chocolates to friends as gifts or for parties and potlucks.